With Instagram’s global popularity, healthcare providers should keep their finger on the pulse of this visually valuable network. Instagram is a photo and video sharing service and its more than 300 million monthly active users provide healthy exposure for businesses. Now that the mobile app offers advertising, hospitals and practices should consider using Instagram in their social media marketing efforts to advertise their services and reach new patient markets. 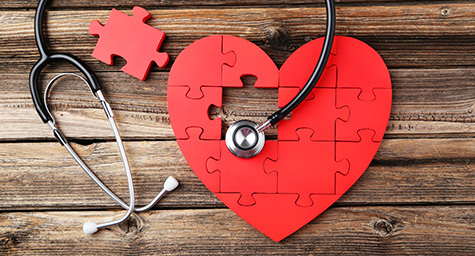 To learn how Instagram advertising operates and enhance your healthcare marketing outcomes, HealthcareCommunication.com shared these healthy hints. Instagram advertising is similar to Facebook’s format for ads in the way it provides a call-to-action button for every image or video posted. This button can direct mobile users to your landing page, website, or blog. Once they’ve been re-directed, they can get more information about the picture posted and possibly become a new patient. In addition to selling static photo ads, Instagram will also be offering video ads. These video ads can be up to 30 seconds long and displayed in a landscape format. While static photo ads serve as virtual billboards, video ads will be extremely effective for storytelling and testimonials. Instagram ads also provide advanced targeting features that let you choose who views your ad. This allows you to target your ad to the right audience, which will make your healthcare marketing more effective and efficient. Match Your Advertising to Your Audience: Since Instagram is a mobile app for mobile users, it should only be used for advertising if your target market uses mobile devices. Optimize Your Website for Mobile: Remember that Instagram is made for mobile users, so you need to have a mobile-friendly website that is viewable on these devices. Mobile users have little patience for websites that aren’t mobile-friendly, so not optimizing for mobile can cost you potential patients. With Instagram rapidly emerging on the advertising scene, it may be a wise way for your healthcare business to gain greater exposure and welcome new patients. See how social media can help your healthcare marketing. Contact MDG Advertising today at 561-338-7797 or visit mdgadvertising.com.